Now is a good time to get your back facial treatment at Dyanna Spa in Manhattan, New York. Even though summer, tank tops, and bathing suits are gone and your back isn’t seen as much, it still requires diligent skin care. The back covers a big portion of the skin, the body’s largest organ, and it needs the attention. Many men and women suffer from unattractive back acne, and blackheads, whiteheads, pimples, clogged pores, bumps, and blemishes on their back; however, the back isn’t the easiest place to reach on the body. Having someone administer a back treatment, also known as a back facial, is extremely helpful. Our day spa in N.Y.C. is ready to help. Our special sixty-minute “Back Treatment with Exfoliation Mask and Moisturizer” is perfect for taking caring of problem skin. It’s also a great treatment if you don’t have a back skin problem and just want your skin to be silky smooth. First, our esthetician cleans the back using our special cleansing process. Next comes a gentle steaming to open up all of the pores and to extract impurities in the skin. A therapeutic exfoliation mask is then applied to remove any remaining impurities as well as dead skin cells. A replenishing moisturizer follows to restore nutrients and hydrate the skin. The final step is a luxurious back and shoulder massage. For those who want something shorter, our thirty-minute simple back treatment includes the gentle steam cleansing and shoulder and back massage. For those who have a dress with a plunging back line, after our spa treatment you’ll be able to wear it with full confidence knowing your back will look clear and lovely. 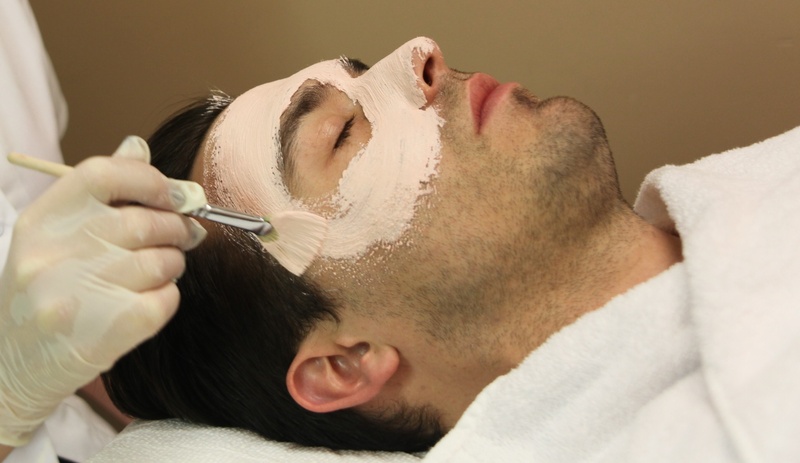 , you will leave our New York beauty salon with ultra clean, clear, and smooth skin. Call us now to schedule an appointment for your restorative back facial treatment.